A BOAT carrying 141 migrants was waiting for permission to dock in a Mediterranean port today (Monday) after sending out a general call to European Union (EU) countries. The Aquarius boat, run by the Medics Sans Frontiers (MSF) NGO, has been turned down by Italy and has had no word from other countries such as Spain and France. It not made a formal request to countries such as Spain but has instead issued a general SOS. David Noguera, head of MSF in Spain, said the situation was currently worse than it was when it was permitted to dock with hundreds of migrants on board in Spain in June. “The situation shows an absolute incapacity on the part of people who should have the capacity to create a humane system to solve this,” he said. “The migrants on board the boat are well despite going through such a traumatic experience, fleeing conflict and the frightening experience of being in the sea,” he added. MSF said in a statement they would rather dock at the closest country to them which is currently Malta or Italy. The Aquarius is currently the only humanitarian boat at sea as the Proactiva- run Open Arms remains in Spain’s Algeciras. Malta and Italy have said they will not take the migrants, MSF added. Spain has not said if it will give permission for the boat to dock in one of its ports although official sources said an EU-wide solution should be sought. Pedro Sanchez, the country’s Prime Minister, allowed it and another boat to dock in Valencia City in June after Italy and Malta refused to take the migrants. Noguera said the Aquarius’ crew had enough supplies to remain at sea for five to seven days. 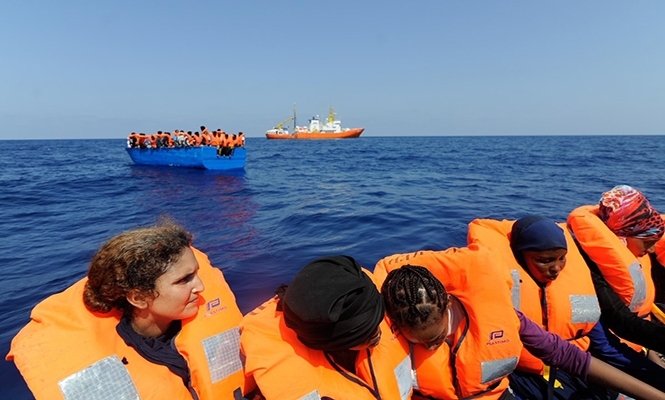 He added volunteers on board would be able to provide the proper care for the migrants. He said the debate was now about the “humanity” of those with the power to decide on whether to allow the ship to dock.